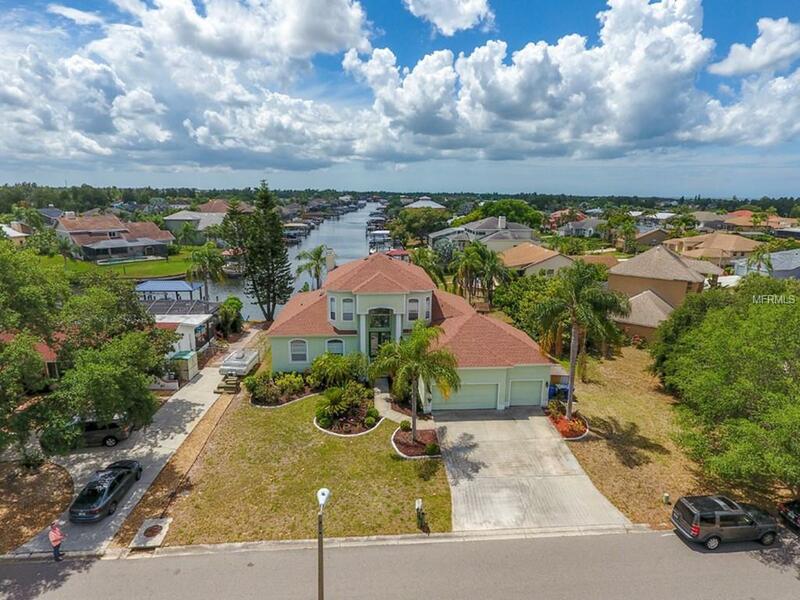 Enjoy Florida living at its finest from this spectacular custom built, waterfront, pool home situated on an enviable lot with impressive water & sunset views! As you open the beautiful custom designed double front doors, you will be impressed by the spacious foyer with soaring ceilings, the bright & open great room accentuated w/a wood burning fireplace, formal dining area, the library/music room & a bonus room perfect for a home office/playroom/den or 4th bedroom. 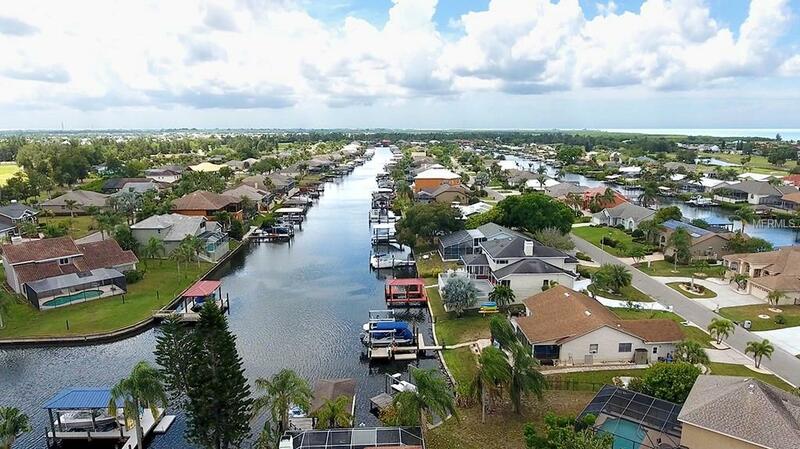 The slide-away doors open to the expansive screened lanai with stunning view down the length of the deep-water canal, an outdoor kitchen & refreshing swimming pool & spa, great for entertaining & family gatherings! The spacious kitchen is a delight w/an abundance of solid wood cherry cabinets, quartz counter tops, tiled backsplash, stainless steel appliances, breakfast/snack bar & adjoining casual dining area. Release the pressures of the day in your fabulous second floor master suite w/a relaxing separate sitting area & master bath with garden tub & separate oversized shower. Downstairs you will find two additional large bedrooms w/custom walk-in closets. Many architectural details w/arches, columns & stained glass adorn this magnificent home. Bring your power boat & land toys - there is a dock with water & electric equipped with a 7,500 lb. 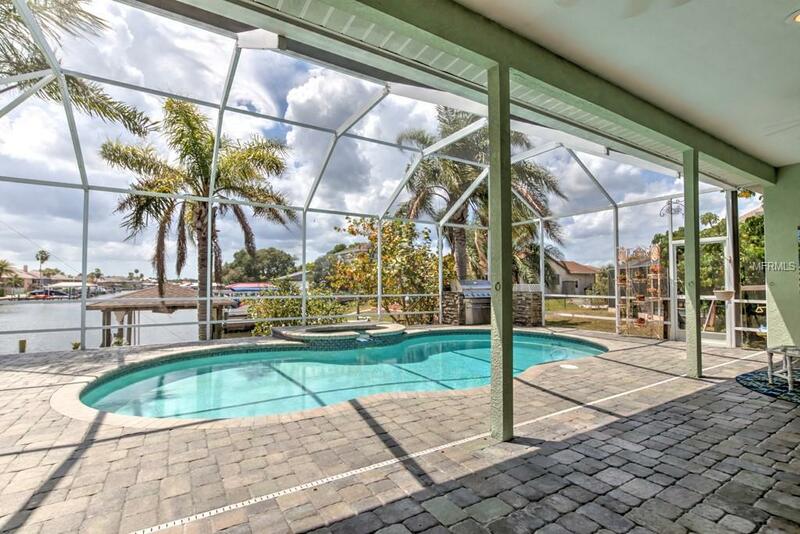 boat lift under roof & a 3-car garage! Come & see this magnificent home located in a nice established neighborhood with no HOA or CDD fees. 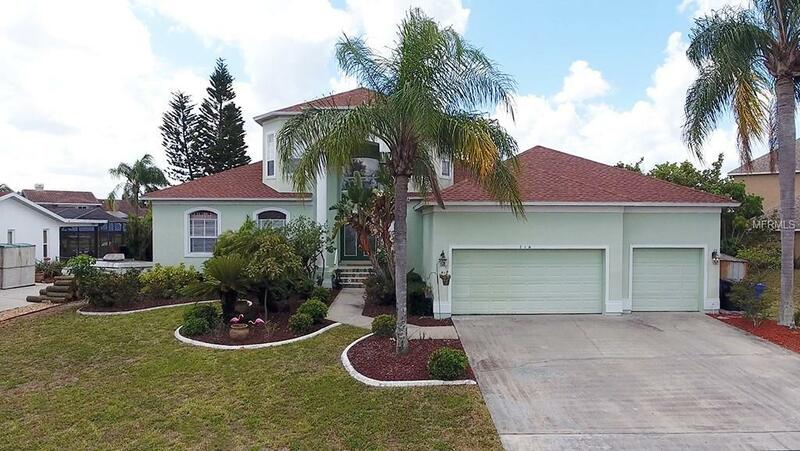 Move this home to the top of your list. You will be glad you did!